Were you or a loved one recently pulled over and arrested for drunk driving in Washington? If so, it’s very important that you speak with a knowledgeable DUI attorney from our team today. Our drunk driving lawyers understand how frustrating it can be to face a serious criminal charge like a DUI/DWI. Many of our clients are usually scared and confused when they initially contact our office. They usually inform us of what happened to their friends and family members who were charged with a DUI. While it may give you solace to seek guidance from someone who has actually been charged with drunk driving, this can be a bad idea. Every Washington DUI/DWI case is unique. What happened in your loved ones case may not happen in yours. That’s why it’s important to speak with a Washington DUI lawyer who has the skills, experience, and knowledge to help you contest your drunk driving charge. There are many factors that will determine how your DUI/DWI case will be resolved. One of those factors includes the reason for your arrest. In Washington, a police officer can arrest you if he had any suspicion to believe you were driving under the influence of alcohol or other drugs. While most of these actions are associated with drunk driving, not everyone who performs these actions is actually drunk at the time of their arrest. There are many other factors that will determine how your DUI/DWI case will be handled in court. That’s why we take an aggressive approach to help the prosecutors understand what really happened the night that you were pulled over and arrested for drunk driving. Don’t speak to anyone about your DUI charge until you hire a DUI attorney. Immediately after your arrest, it’s in your best interests to call an attorney. In most cases, the arresting police officer and other law enforcement officials will try to ask you questions that can be used to incriminate you in court. At the time of your arrest, your Miranda rights should have been read to you. One of those Miranda rights states you have the right to remain silent. We highly recommend that you take advantage of those rights and don’t speak to law enforcement personnel or anyone else until you call a lawyer to discuss your case. In addition to paying expensive fines and losing your freedom, a DUI conviction may also affect your ability to get a job or lease an apartment in some cases. That’s why it’s important to hire a Washington DUI attorney who will provide you with the necessary guidance you need to challenge your charge. Don’t lose your freedom because of DUI charge! Speak with a skilled Washington DUI attorney today. The support, knowledge, and guidance of a DUI attorney can make all the difference in how your charge is handled. Our drunk driving lawyers have decades of combined experience successfully challenging hundreds of complex cases throughout Washington. When you hire us, you can feel confident knowing that we will be in your corner every step of the way. Our firm will aggressively fight to protect your legal rights. At the Law Offices of Jason S. Newcombe, we understand how difficult it can be to face a serious DUI/DWI charge. Many of our clients tell us that they are embarrassed and ashamed; they feel like they let their family down. We understand that this can be a difficult time for you as well. That’s why we will be at your side throughout your entire DUI/DWI process. From the moment you call our office to the time you go to trial, you can feel confident knowing you have a dedicated team of legal professionals who truly care about your freedom and will aggressively fight to defend your legal rights. 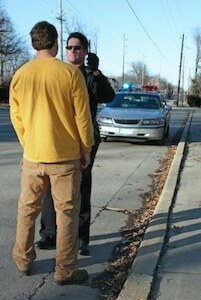 The impact of a DUI charge can last a lifetime. That’s why it’s important to speak with a knowledgeable drunk driving attorney who can help you explore your legal options. With the help of a skilled lawyer from our team, it’s very possible that you may be able to minimize the impact of your consequences. We understand that you may be scared and worried about your DUI /DWI outcome. But we are here to let you know that we are in your corner. You don’t have to face your DUI charge alone. Call us now and tell us what really happened the night of your DUI arrest. Call us now to learn more about how we can help you challenge your DUI charge today! We offer low flat fees and affordable payment plans.